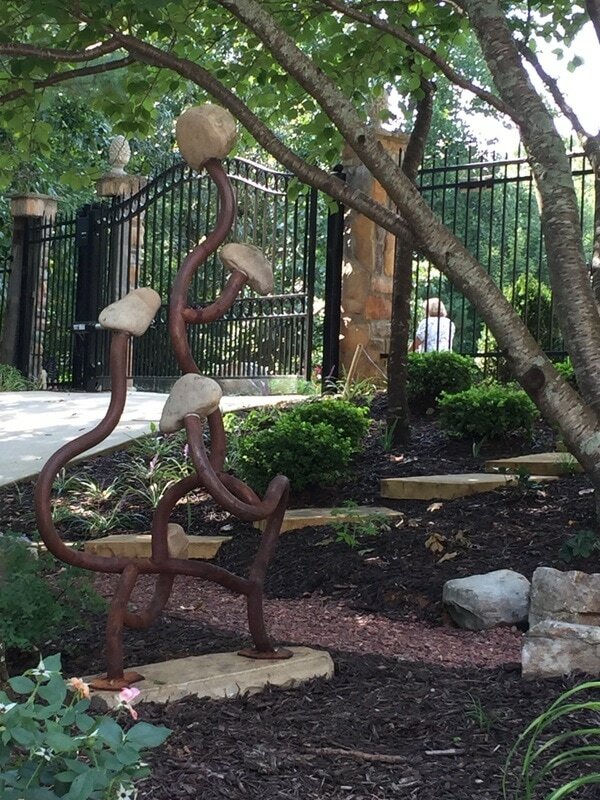 By using the strength of two elements, stone and steel, I create whimsical, functional pieces of sculpture. 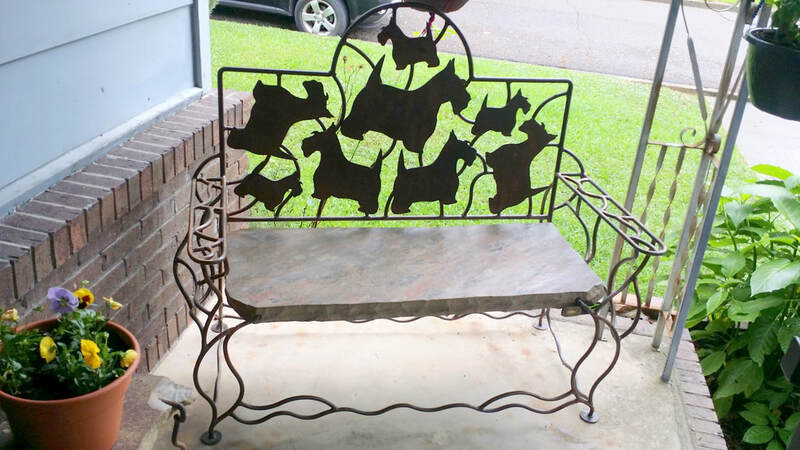 Artful seating for your outdoor living spaces. One of our new benches!! Most any dog silhouette can be done. Contact us for details!! Inspired designs from the artist or collaborate with us to develop a design of your own.